So what do apples, pears, loquats, medlars and quince all have in common? They are all fruits that are botanically classified as pomes (also sometimes spelled, pommes). Pomes are part of the family Rosaceae, which also contains roses, stone fruit, strawberries, almonds, and hawthorne bushes. Pomes essentially are defined by the composition of their fruit. A pome is what we call an accessory fruit, meaning the edible flesh is composed of both of the carpels (the parts of a flower that develop into fruit and seeds) as well as various accessory tissue. The core consists of the numerous fused carpels that contains the seeds. The seeds are surrounded by a tough, leathery, and fibrous flesh called endocarp. This is surrounded by a lighter and softer mesocarp, the bulk of the flesh you eat of the fruit. Outside of that is the epicarp, which is the skin of the fruit. The trees themselves are deciduous, meaning the tree drops its leaves annually and goes dormant in winter. Flowering occurs in spring with fruit harvest in late summer and through autumn. Pomes have a long history of being a regular source of food for numerous cultures. In fact, apples have long been one of the most popular fruits throughout Europe and America. Pomes are also known for their ability to easily graft. A single rootstock can support nearly 20 varieties. Often apple, pears, and Asian pears (aka: nishi) are sold with numerous grafts to ensure variety but to also protect against diseases and pests. Apples, Asian pears, and pears are by and far the most popular types of pomes and there are hundreds of cultivars of each, though a few specific ones dominate the market. 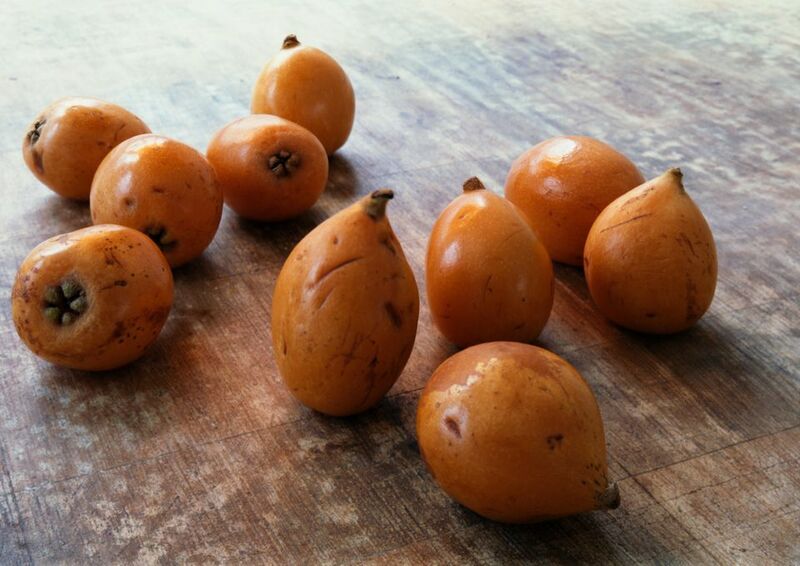 Loquats generally enjoy popularity in Asia and the Middle East, and while they grow well in North America, they’re mainly grown as ornamentals with few owners rarely realizing the fruit is even edible. Medlars, quince, and rowans were popular fruits through much of Europe, but fell out of popularity as apples and pears produced more flavorful, larger fruit in larger numbers. Quince still enjoys a bit of popularity today, but medlars and rowans are rarely grown for mass commercial use. What Are Good Fruits and Vegetables to Pick for November?